Halloween has rapidly approached in a flourish of amber leaves and moonlit streets, and it's a time of year where everyone can truly be themselves or become something entirely different. Masquerading isn't just relegated to children who clamber from house to house with brimming pails of candy. Adults are also encouraged to get in on the fun, and even animals. A lot of costume ideas rely on the allure of couples or a team effort, and while people usually choose their friends, family or significant others to complete a look, there's nothing quite as charming as putting together a Halloween ensemble for your canine companion. Dressing your pet up for Halloween will allow both pet and owner to embrace the holiday spirit together, and you can even make sure your pet gets exercise while experiencing the crisp atmosphere of autumn. If you're hard up for costume ideas, there are a variety of unique concepts you can find online which you can create on your own. 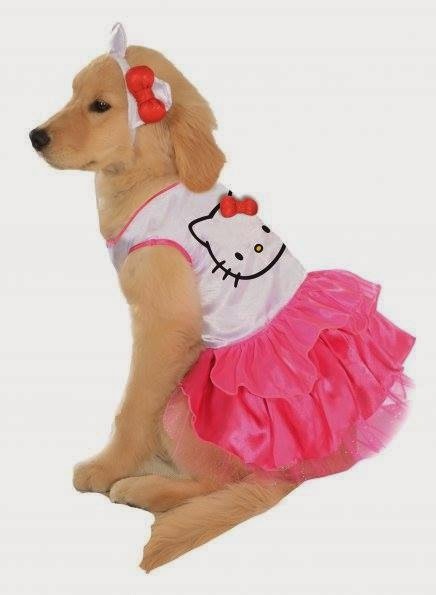 However, there are also excellent vendors like Pet Costume Center, that offer specialty pet attire for an affordable price. If you have something very specific and atypical in mind, you're likely better off making your costume with found pieces of clothing and some handy sewing skills. Of course, you can also commission someone to make your costume idea a reality for you, and there are bound to be artisans who are just as skilled with animal wardrobes as they are with their human counterparts.